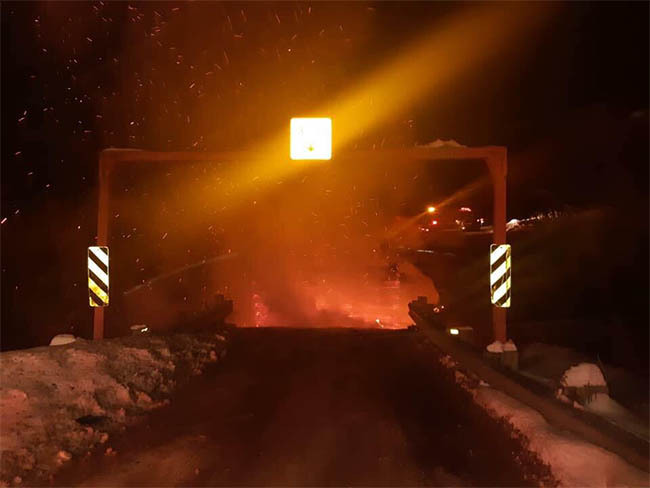 LOW (January 20th, 2019) - Saturday evening January 19, 2019, Kelly bridge on Pike Lake road was destroyed by fire. Following all efforts of the Fire department, the bridge is completely destroyed, all traffic is diverted with detours. An investigation has been opened by the Sûreté de Quebec. Municipal Council will be addressing this subject. At this time it is too early to comment on the future of this bridge. Pike Lake Bridge known as “Kelly Bridge” has been known as the second oldest covered bridge in the Outaouais region. Built in 1923 at a length of 27 meters and refurbished in 1997.